Atherosclerosis is a multifactorial disease and many different approaches have been attempted for its accurate diagnosis and treatment. The disease is induced by a low-grade inflammatory process in the vascular wall, leading through a cascade of events to the eventual formation of atheromatous plaque and arterial stenosis. Different types of cells participate in the process making more difficult to recognize the potential cellular targets within the plaques for their effective treatment. The rise of nanomedicine over the last decade has provided new types of drug delivery nanosystems that are able to be delivered to a specific diseased site of the vessel for imaging while simultaneously act as therapeutic agents. In this paper, a review of the recent advances in nanomedicine that has provided novel insights to the disease diagnosis and treatment will be given in line with different nanotechnology-based approaches to advance the cardiovascular stents. The main complications of bare metal stents such as restenosis and of drug-eluting stents which is the late stent thrombosis are analyzed to comprehend the demand for emerging therapeutic strategies based on nanotechnology. 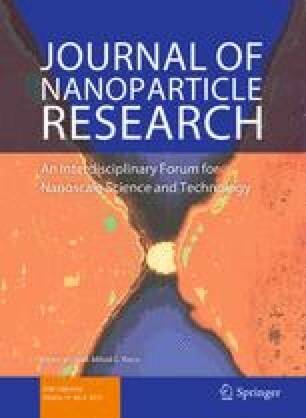 This work has been partially supported by the NanoCardio Project “Nanomedicine for Advanced, Bio-active/-mimetic materials for Cardiovascular Implants,” funded by GSRT Greece and European Commission. The author would like to acknowledge Prof. Stergios Logothetidis, the director of LTFN lab, Aristotle University of Thessaloniki, Greece and Dr. Silke Krol from Fondazione I.R.C.C.S. Istituto Neurologico, Carlo Besta, Milan, Italy, for their fruitful discussions and collaboration during NanoCardio Project.